Argentinean football great, Claudio Caniggia, has lent more than just his name to an initiative to bring the fun, exercise and discipline of football to a broad cross-section of the Costa del Sol’s youth. His Master Class football clinics, organised together with promotions specialist Rami Morante, are a non-profit initiative aimed at broadening the scope and involving youngsters who may otherwise not be able to attend football coaching schools of this kind. 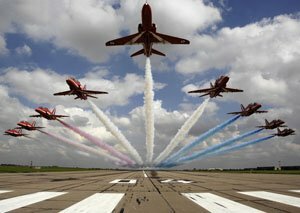 I think there’s a certain glamour to aerobatics – that world in which elite groups of the world’s finest pilots outdo one another to create the ballet of the skies. This synchronised dance of timing and daring is also one of the most dangerous activities you could sign up for, so there must be an element of madness in the steely nerve of these handpicked men – and women. After decades in the shadow of Rolls Royce limousines, the Bentley has now emerged as a magnificent luxury vehicle in its own right. With the Mulsanne, Bentley is reviving the heyday of the marque. Though yachting, power boating, tennis and a host of other sophisticated sports feature prominently in Monaco, it is motor sport that above all runs in the veins of this principality. 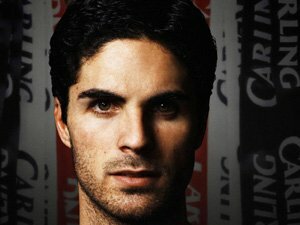 Mikel ‘Mickey’ Arteta to sign for England? The very moment Fabio Capello raised the possibility of including the Spaniard Mikel Arteta in the England squad a fierce debate erupted that seems to split the game, its administrators and its fans right down the middle. I’m thinking, has Capello opened up a can of worms? Posted in Sports | Comments Off on Mikel ‘Mickey’ Arteta to sign for England?